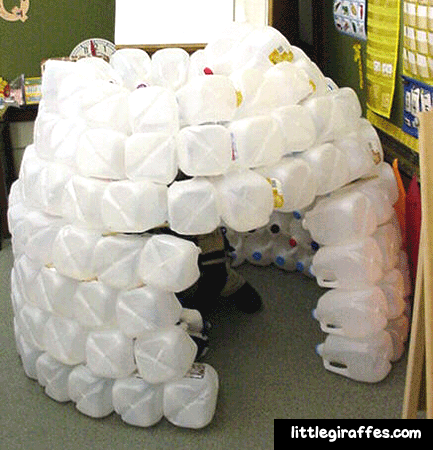 We made an igloo out of milk jugs to use as a reading center. 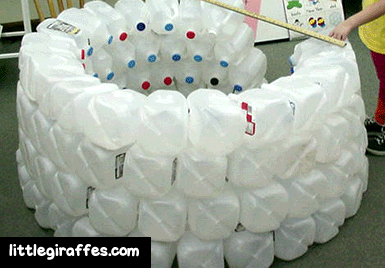 How many milk jugs will you need to make this igloo? 155! Start collecting now. 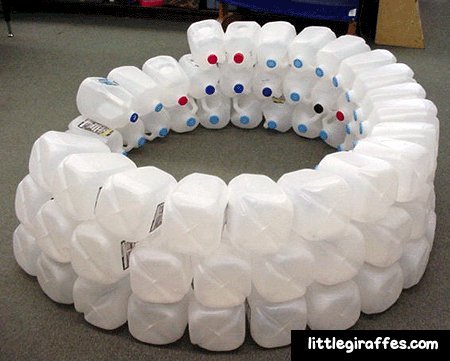 There are 23 jugs hot glued together in our base row. 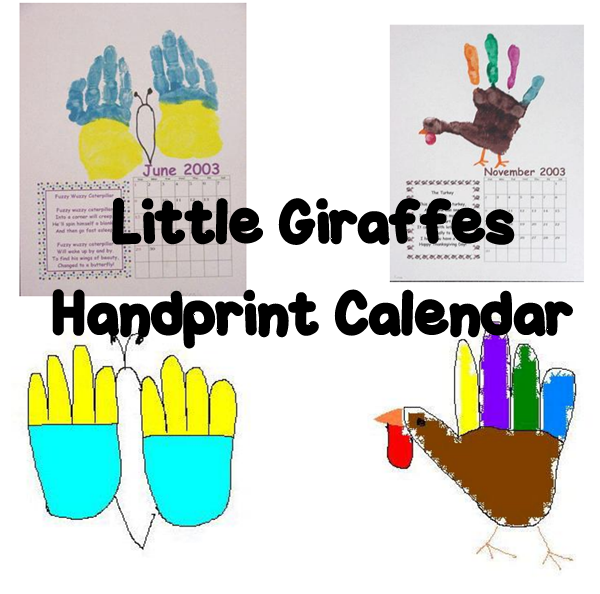 The yardstick helps to maintain the circular shape. Row 2 consists of 22 jugs. 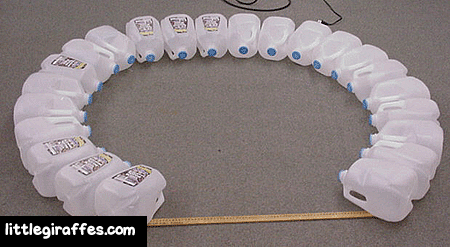 There were not quite enough jugs to complete Row 3. 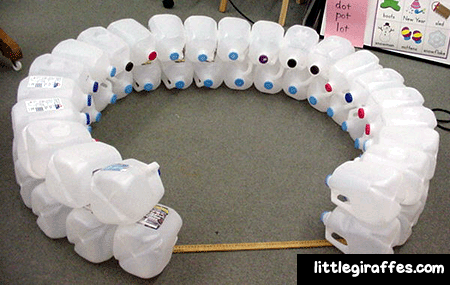 So far we’ve used 63 jugs. We are now four rows high–84 jugs. 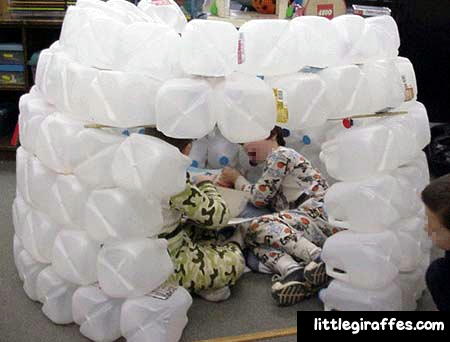 On the next row, we’ll begin forming the dome of the igloo. The yardstick will be a base for the row above the doorway. 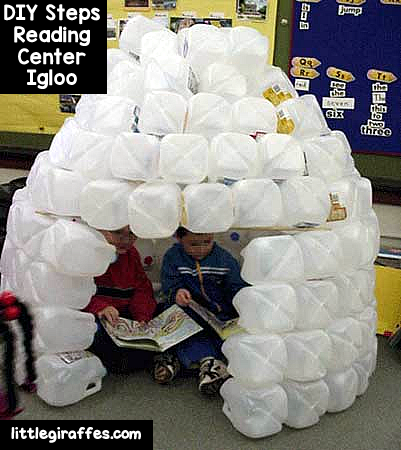 We’re beginning to use our igloo for a reading center, even though it’s not quite complete. 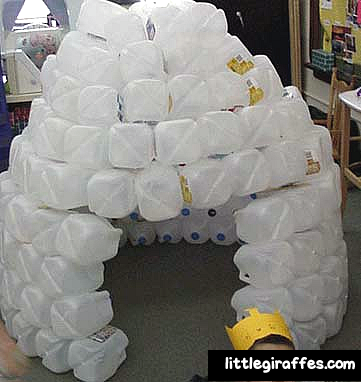 It took 155 one gallon jugs to complete our igloo. We are using our igloo as a reading center now.